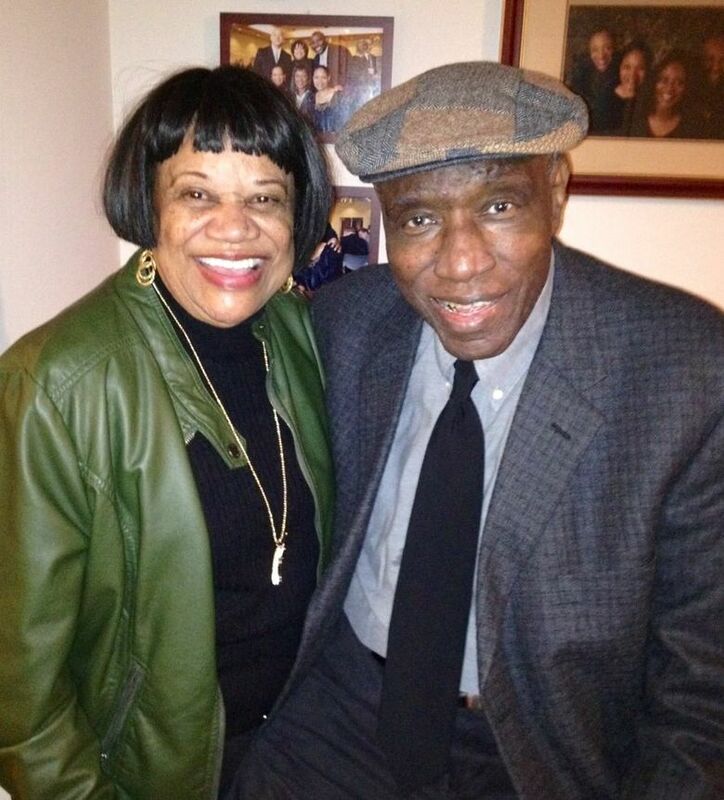 Hopkins, 80, died at 1:15 a.m. Friday morning at a Bellevue hospice facility, according to his son, Bob Hopkins Jr.
Bob Hopkins, the former Grambling State basketball great who briefly coached the Seattle SuperSonics, died after a two-month battle with congestive heart and kidney failure. 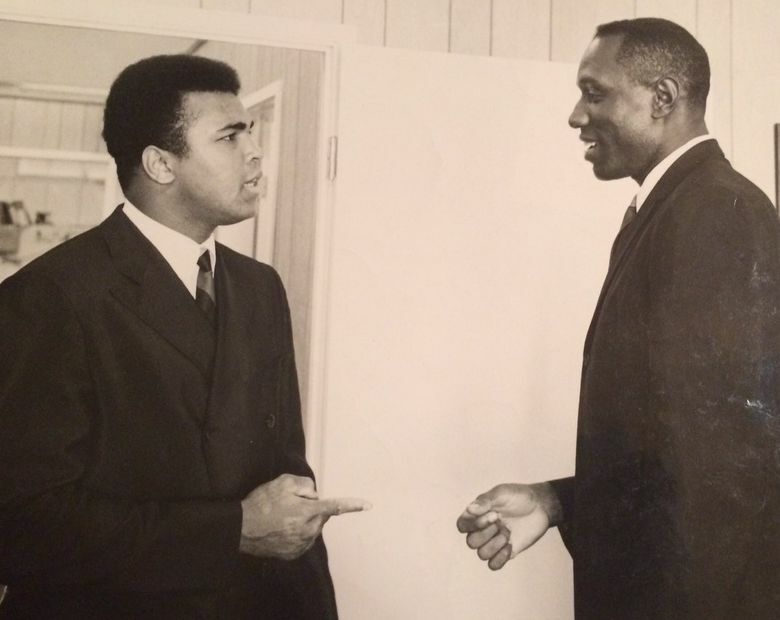 “He was a big man with a fiery personality,” said former Sonics great Slick Watts, who played for Hopkins in Seattle and at Xavier University in Louisiana. “He was the type of coach that didn’t play no favorites. He didn’t care how big your contract was. He believed everyone put on their pants the same way. He didn’t believe in superstars. NBA fans may remember Hopkins as Bill Russell’s handpicked successor who coached the Sonics during the 1977-78 season. After a 5-17 start, Lenny Wilkens took over and led Seattle to consecutive NBA Finals appearances, including the 1979 championship. The Jonesboro, La., native also has a rich basketball legacy at Grambling, where he was a two-time National Association of Intercollegiate Athletics All-American under legendary Eddie Robinson – who coached the Tigers’ football and basketball teams at the time. The 6-foot-8 center amassed 3,759 points – the second-most in the history of college basketball and 92 more than LSU’s “Pistol” Pete Maravich, who is the most prolific Division I scorer. While averaging 29.8 points and 17 rebounds during his four-year career, Hopkins led Grambling to a pair of conference titles. He’s also the school’s all-time leader in rebounds with 2,191. Hopkins played four years (1956-60) in the NBA for the Syracuse Nationals. He averaged 8.2 points and 5.6 rebounds before a knee injury ended his professional playing career. Hopkins made his coaching debut with Prairie View A&M, guiding the Panthers to an 18-10 record. He spent the next three seasons at Alcorn State, where his teams were 20-8, 24-3, and 27-1. Hopkins also had a couple of 20-win seasons at Xavier in New Orleans. 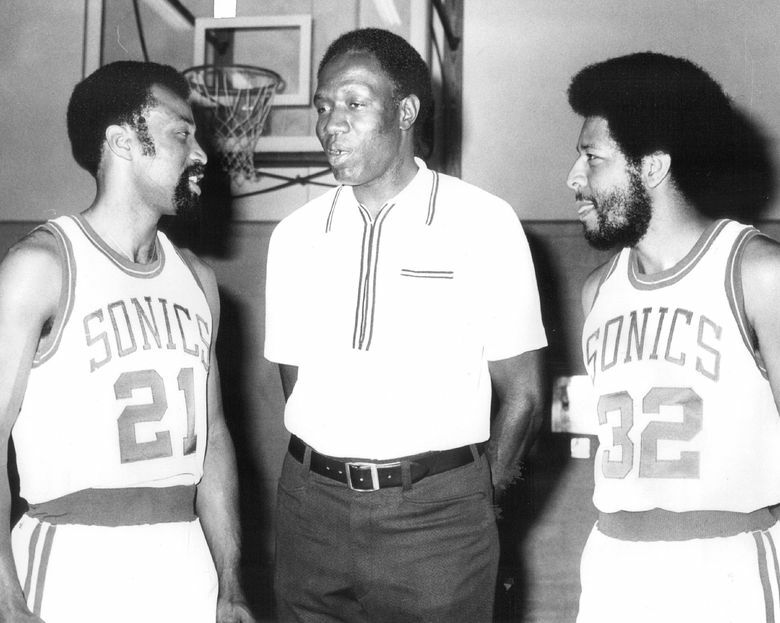 In 1974, the second year of Russell’s four-year reign as Sonics coach, he hired Hopkins – a cousin – as an assistant. Three years later, Hopkins was promoted to head coach. His first major decision was drafting Jack Sikma eighth overall in 1977, which rankled some in the front office who favored Tennessee’s Ernie Grunfeld. Grunfeld was taken four picks later. After 22 games, Hopkins was demoted to director of scouting. Wilkens inherited a talented team that averaged 52 wins over the next three seasons and advanced to the Western Conference finals each year. “He was a little bit upset that he didn’t get a chance or get more time, I should say,” Hopkins Jr. said. “But he was very happy that they were successful and won a championship. A lot of the guys like J.J. (John Johnson) and Lonnie Shelton, they know they would have never been there if it wasn’t for my dad recruiting them. Hopkins left the Sonics in 1978 and the next two years he was an assistant with the New York Knicks before returning to the college ranks. He spent a couple of years coaching the Grambling women’s basketball team before returning to the men’s game at Southern, where he led the Jaguars to NCAA tournament in 1985. Hopkins went back to Grambling for a three-year stint that ended due to NCAA sanctions that resulted in his resignation in 1989. After a 17-month stint at Maryland-Eastern Shore, Hopkins resigned in 1991 following an 0-6 start. He was 5-29 at UMES. Hopkins returned to the Pacific Northwest and settled in Mercer Island with his wife of 57 years, Beverly. Besides Beverly, Hopkins is survived by his children, Lynnetta, Marilyn, Debbie and Bob Jr., four grandchildren and a great grandchild. Hopkins was inducted into the College Basketball Hall of Fame in 2013. A celebration of Hopkins’ life will follow an 11 a.m. Friday mass at Saint Monica Catholic Church on Mercer Island. “He was great for the Sonics even though that whole thing didn’t last a long time,” Watts said. “He was great for basketball. And not just on the court. He turned boys into men.